The Porsche 956 was created to dominate the Group C series when it was introduced back in 1982, and to celebrate its 30th birthday in 2012, Haynes published Porsche 956 962 – A Photographic History, written by Glen Smale. For this award-winning author, this is now his fifth book on the famous Porsche marque. This is possibly one of the most comprehensive accounts of the achievements of the magnificent Porsche 956 962, unquestionably the most successful racing car in the history of endurance racing. 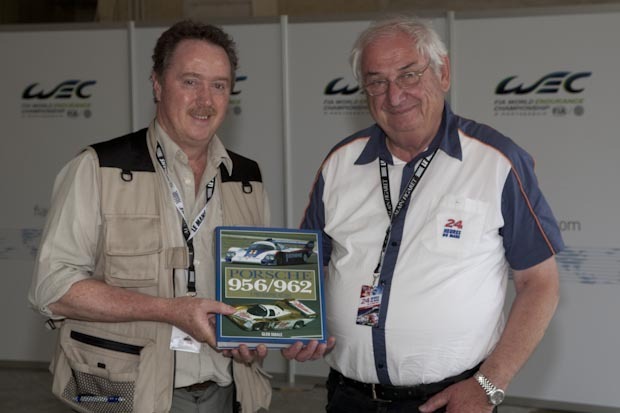 As stated in the foreword, written by the car’s development engineer, Norbert Singer, the author has created a detailed chronology of the development as well as a summary of all the races in which the Porsche 956 and 962 raced. The first 30-odd pages deal with the development of the 956 before Smale begins to unravel a detailed report, starting in 1982, and including all races of the legendary Porsche Group C and IMSA cars. Each chapter starts with a brief overview of the new regulations and the race reports that follow include the World Endurance Championship, World Sports Prototype Championship, the Sportscar World Championship as well as the IMSA-GTP Series, the Deutsche Rennsport Meisterschaft, the Interserie, the Supercup and the Japanese Sports Prototype Championship, as well as some coverage of non-championship events. The race reports are brief and to the point and are superbly augmented by in-depth photo captions. As is explained by the sub-title ‘A Photographic History’, photographs form a substantial part of this publication. There is indeed no comparable photographic documentation on the market yet that covers these Porsche racing models in such depth. Smale has made a stunning selection from the numerous well-known archives and includes illustrations of technical details to photos of enthralling racing scenes to photos of the happenings around the race track as well as some driver portraits, covering most aspects of the car’s extraordinary achievements. The reproduction is on top quality glossy paper, as one would expect from Haynes, and the format of the photos also includes some superb double-page spreads. The author has sourced many previously unpublished images from private collections making it a truly worthwhile acquisition for any enthusiast.